Much of the past year in the global banking industry has been dominated by headlines of toxic assets, bank bailouts, government takeovers, stimulus packages and executive bonus controversies. None of that has stopped the rapid evolution of the Internet, with new applications hitting the mainstream, changing business models and responding to evolving customer demands and needs. Against this backdrop, Global Finance has once again identified the leading banks that are finding ways to prosper online. 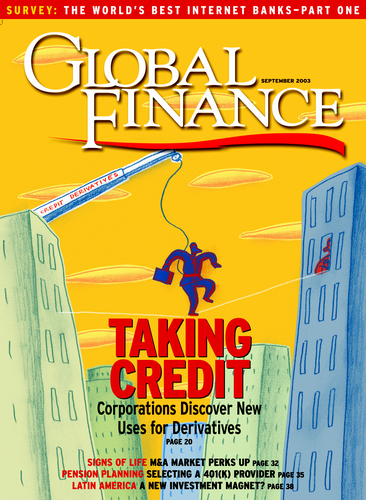 Top banks—such as Banamex, Citi, HSBC, ICBC, Samba Financial Group, Standard Chartered, Swedbank and Wells Fargo, among others—are using the web to add new customers in growing markets, forge stronger and more profitable relationships with existing clients, grow deposits, generate payment and trading revenue, cross-sell products and continue to drive processing and customer-service cost savings. They are accomplishing these goals by providing interactive and self-service capabilities, easy-to-use online products and services, streamlined web navigation, customized and personalized web applications, discounts and reward programs, and integrated banking services with a single sign-on and straight-through-processing, according to Rajesh Menon, partner in the banking and capital markets practice of Infosys Consulting. Here is a snapshot of just a few of the winning banks and their web banking services winning acclaim. One model Internet banking service is HSBC Premier, a global service that affluent customers can access in more than 40 countries. It offers Global View, which puts account balances in different countries on one page for customers to see. When viewing their balances, customers can simply click a button to switch to any Internet banking accounts that they have with HSBC in other countries, Menon says. Clients can also transfer funds between their HSBC accounts from anywhere around the globe in multiple currencies in near real-time at no cost. Citi’s CitiDirect web banking platform draws acclaim from experts for its extensive features. These include an online investment portal that offers time deposit investments across 18 currencies and can be linked to accounts in 22 countries; capabilities for pooling of funds; integrated trade, payments, information reporting, receivables, continuous-link-settlement services and investment capabilities; and an end-to-end trade system on one secure platform that is available anytime from anywhere in the world. Clients can also conduct and manage payments in more than 137 currencies and a range of payment methods. CitiDirect employs a four-tiered security process. ICBC in China is differentiating itself with its online security offerings. For example, it provides customers with “Online Security Scan,” a free service that allows customers to scan and remove viruses, spyware and other malicious applications that could endanger their online banking safety. ICBC is also an industry leader in authentication, according to Menon, having launched the second generation of USB Shield, a USB key for safe sign-on and client authentication. The second round of the World’s Best Internet Banks Awards will come later this year with the unveiling of the global winners—by product service or category as well as overall winners.